At NAB 2019 we showcase key demonstrations of the Foundation and Additional layers of UHD Technology combined in the new Guidelines, with more than a nod to the future of the development of UHD in the NAB Pilot Futures Park at N1531, North Hall, Las Vegas Convention Center. We have produced a video overview of our demonstrations along with descriptions of what we have had to show at NAB2019. 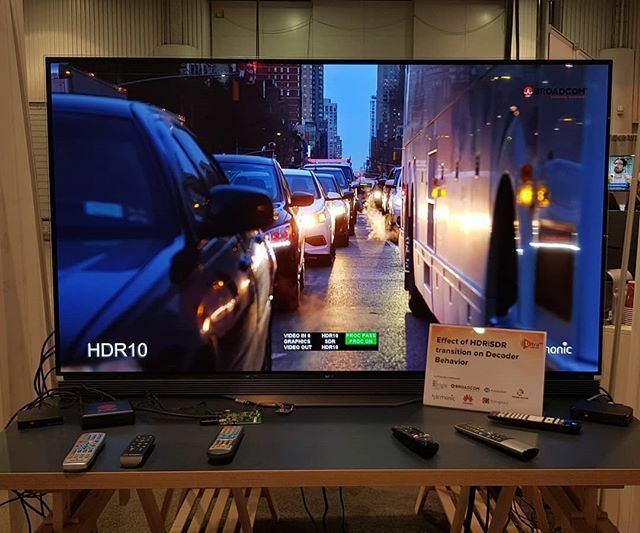 Several demonstrations are available on this Pod as we have Dolby Vision and Technicolor, supported by ATEME and Harmonics, show dynamic metadata improving the quality of HDR video to reveal better contrast and detail. Additionally, Technicolor and its partners: Cleverlogic, ETRI, KaiMedia and supported by Harmonic, present the power of SHVC, part of ATSC3.0, to broadcast content for consumption by devices and displays across a range of Resolutions, Dynamic Ranges and Color Gamut. Have you ever thought about how resolution and frame rate of content affects the perceived visual quality in the context of 4K and HD, High Frame Rates (120fps) and Standard Frame Rates (60fps)? Well, this demo shows all combinations side by side at your request you get to say looks better. This demo was created with ATEME, Fox (Walt Disney Television), InSync, Fairmile West, LG Electronics and PBS. A wide range of member companies shows why our Guidelines recommend that not to have different dynamic range formats within a single stream or channel. We also show how our members have produced solutions to this problem which point to future changes to our Guidelines. We will enable capabilities that broadcasters and platform operators are looking to deploy to make more and more efficient use of their delivery platforms. This demo has been brought together by Harmonic with the development and support of other members BBright, Broadcom, Fairmile West, HiSilicon, Huawei, and Synaptics. In our lounge area, Pod D, we have two demonstrations of how UHD HDR production and distribution improve the quality of content. The first demo from B<>COM, supported by Sony, can convert SDR content to HDR and back again to SDR. Broadcasters and platform operators are looking to maximise the consistency and coverage of their content distribution. Our second demo by Harmonic, supported by Sony, shows content captured and produced in 4K and 8K resolutions and the differences of how they look when distributed in 4K. This shows quality improvements in the use of the increased capture resolution. We put together a mini-presentation booth where we have guest presentations from Yoeri Geutskens of Ultra HD 4K News (@UHD4K) and Hans Hoffmann, the Head of the unit on Media Fundamentals and Production technology in the EBU Technology and Development department. The Ultra HD Forum twitter account has timing details. We also introduce visitors to the work of the Ultra HD Forum through our Guidelines, Interop, and Communications Working Groups and the benefits of getting involved and becoming a member. 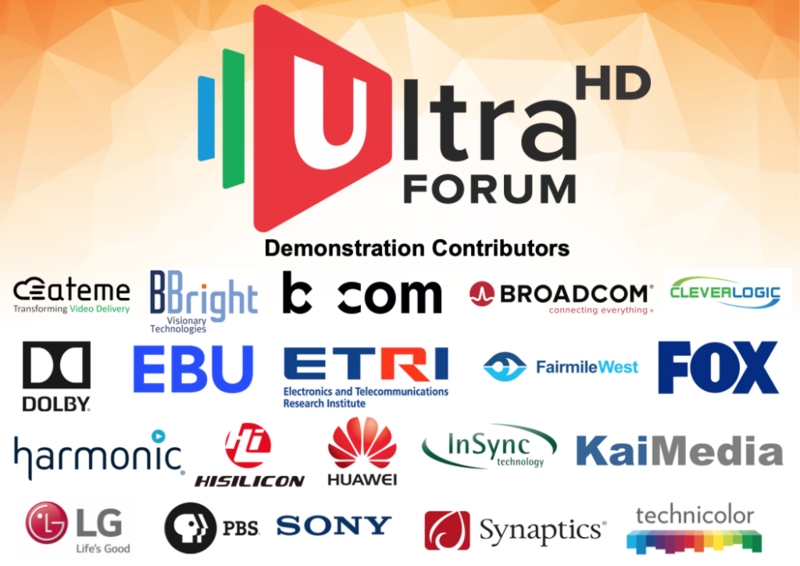 These demos have been brought together by participating member companies of the Ultra HD Forum Interop Working Group. The Working Group is tasked with facilitating interoperability work and plug-fests to test usability and comprehensiveness of Ultra HD and related media standards including the Forum’s Guidelines. We also promote the use of UHD and associated services that meet the scope of the Forum, the demos described above stand in that context and are derived from our Interoperability efforts of the last 12 months. We want to thank all of our member companies contributors for the efforts in putting together these demonstrations for viewing by the industry at NAB2019.